Comfortable, upscale, tropical decor, all the amenities of home, fabulous views of ocean and bay,a peaceful less crowded beach, affordable rates! Our beach retreat is a second home to us, which we enjoy sharing with our guests. We have fashioned our retreat to accommodate vacationers who wish to feel as if they are guests in someone's home and desire to care for it as such. To enhance your stay, we provide many extra amenities and supplies for your use as well as upscale linens. Bed Rooms include 1 King, 1 Queen and 2 Twins to accommodate 6 rental guests. When comparing rental rates, remember to check amenities offered and all added fees charged by other properties. Situated near historic Fort Morgan, relax, swim and fish on a less-crowded beach; enjoy sweeping ocean and bay views as well as watching ships going out to sea from 2 balconies while sitting on comfortable outdoor furniture; only a short distance from 2 premiere golf courses and dining choices and less than 20 miles from more Gulf Shores' attractions, additional dining and more courses. Our Dunes Beach Retreat offers the beach……the way it used to be. 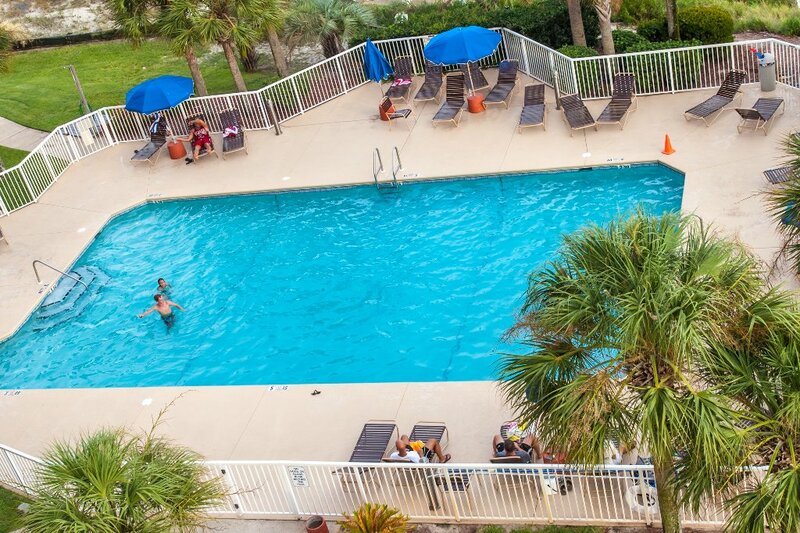 Located in The Dunes Condominium Complex in the Fort Morgan area of Gulf Shores about 18 miles from Hwy 59 in Gulf Shores. Complex sits about 200 yards from beach which is a short stroll down the sidewalk to the boardwalk. NO SMOKING,including balconies! NO PETS! LIMITED TO 6 RENTAL GUESTS TOTAL! All weekly rates reflect 7th Night is FREE! Limited to 6 rental guests, exceptions made for infants. When calculating and comparing rates, remember to check all extra fees charged by other properties. WE DO NOT CHARGE EXTRA BOOKING FEES! Monthly rates not quoted are available upon request. Winter Monthly Rates INCLUDE taxes. Minimum Age Limit for Renters: No One Unmarried Under the age of 25 May Rent the Property. NO PETS! NO SMOKING, including our balconies! NO EXCEPTIONS! Cancellation Policy - 30 days' notice; 60 days' notice for monthly rentals. Events & large gatherings are NOT allowed! Payment due 30 days prior to arrival; monthly rentals due 60 days prior to arrival. We love the peaceful surroundings and less crowded beach as well as the sweeping ocean and beach views from our 2 balconies. It is a treat to watch ships sail from the Port of Mobile. Our young grandchildren especially love the freedom of movement on this less crowded beach and surrounding area and cherish the short walks along the beach to the uninhabited Fort Morgan property to collect those precious seashells. This is not just a rental property. It is special to us and our second home. We have furnished, equipped and decorated it for that purpose and choose to share it with guests who are committed to caring for it during their stay. Bright, roomy, and location, location, location! We liked being out of the hustle/bustle of tourist crowds. But close enough for a short drive to town for shopping or dining out. Slept in late, sat out on either balcony most all of every morning for breakfast. . Listening to the ocean, watching the waves and relaxing. Kitchen fully stocked with everything you could want - major brand name utensils and appliances. The condo was very clean! The furnishings comfortable and we really liked the artwork and beach decorations. I want a dresser just like the one in the entry. Easy walk to beach for sunrise and sunsets. 2 pools and hot tubs, mini gym for use. We liked staying here, would return without hesitation. Friendly neighbors/guests. Good parking. Easy access to ferry, the drive to Gulf shores, about 20 miles. Good bike lane on highway. Tacky Jacks good for burgers and right across street. Imagine yourself sitting on the balcony, watching sunset and sharing great dinner of locally caught fish. This is the place! Thank you, Dianne & Tom for sharing great condo. We very much appreciate such a great review of our home and are so pleased you enjoyed your stay! We fell in love with the area years ago and want all our guests to have a wonderful and relaxing experience! We look forward to your return visit! My family and friends enjoyed a wonderful week in the condo! There were 3 adults and 3 kids and we had plenty of room and it was very comfortable. We enjoyed all the upgraded amenities and complimentary toiletries. 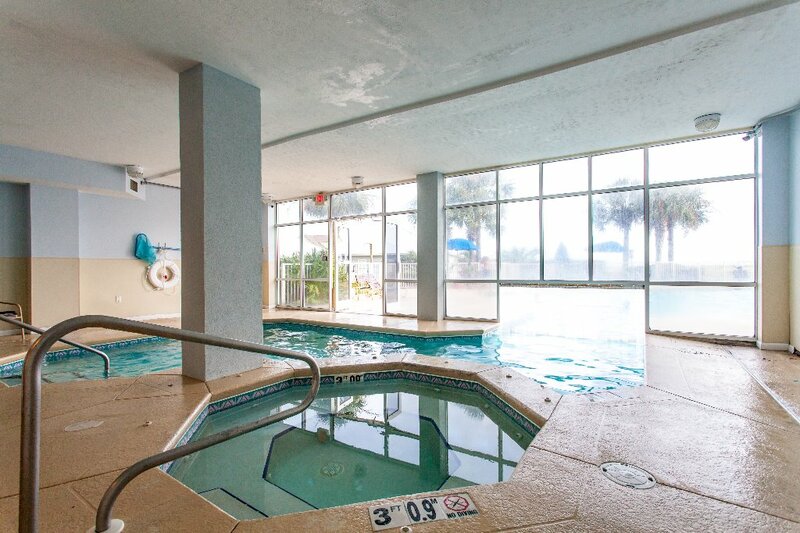 We also enjoyed the indoor and outdoor pool and just a short walk to the beach. Amazing views from each balcony. We will definitely stay again! We LOVE the Dunes Beach Retreat! We have been here multiple times, and will definitely be back. Ample room for our family of 6! Hosts provide lots of good information and have excellent communication. We had everything we needed while we were there. The beach is quiet, and plenty of room on the beach to set up your tent for the duration of your stay. 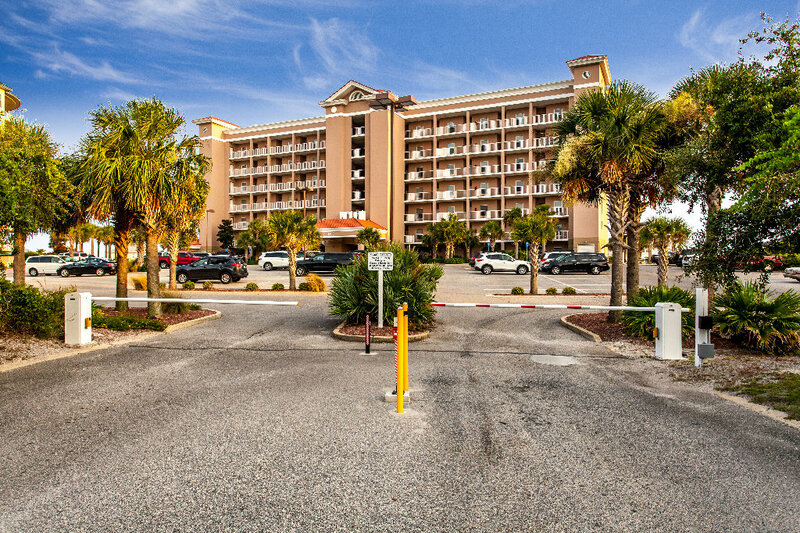 Beautiful white sand just steps away from your unit. Our kids also loved the pool (even with an indoor option if you want). You need to stay here! 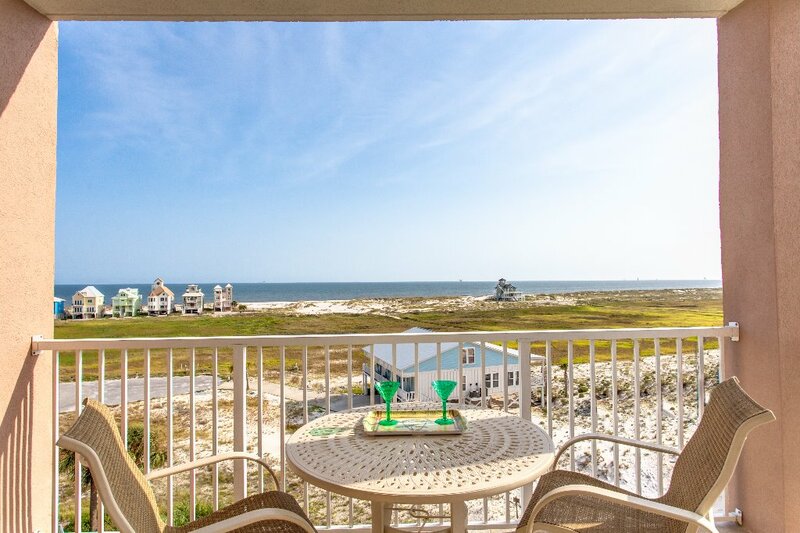 Our family of 4 had a fabulous time at this gorgeous 3 bedroom condo overlooking the Gulf and the bay in private Fort Morgan, Alabama. We even got to see the Blue Angels fly RIGHT from our balcony! 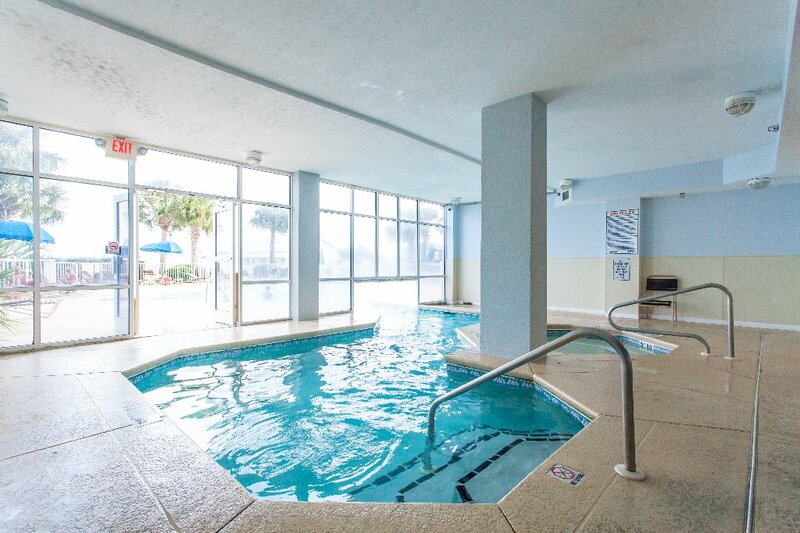 This condo has everything you need for a fun & relaxing family vacation. It is beautifully decorated as well. The pools are clean as well as the white sand beach. If we go back to the Gulf Shores area, we would definitely rent this condo again. The owners were VERY easy to work with and made the rental part so easy. We hope to be back someday! 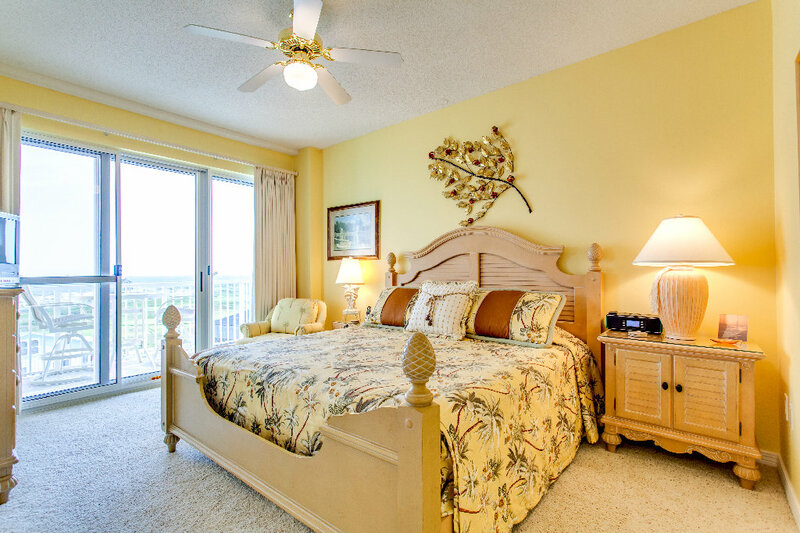 Perfect Condo to stay at while at the beach! My two high school friends (from many years ago) and I decided to take a trip to the beach to be able to catch up and relax with one another. We left home 8 kids between the 3 of us and had an absolute blast! The condo is very well equipped and is decorated beautiful. The owners thought out many details to provide only the best for their renters. I love this condo and cannot wait to go back. Thanks for a wonderful time in your lovely condo! Our family went to Gulf Shores for the first time this past July. In searching probably 100 properties over the course of a few months planning for our trip, I kept coming back to this location. We needed plenty of space for my family of 4 plus my in-laws and we weren't looking to stay an entire week. This property was the most reasonably priced, it didn't require a 7 day stay like most places, and it seemed like a great location. Since it was our first trip to Gulf Shores, I really had no idea what to expect. It ended up being the perfect spot for our family. The condo was beautiful, extremely clean, and well taken care of. It really felt like a home away from home. We were far enough down the peninsula that it felt like a secluded, secret place. Our family was able to set up on the beach (which was a short walk away) and leave our canopy up on the beach during our entire stay, feeling that it was completely safe. We were surrounded by other families and the beach wasn't overcrowded. It was perfect for my 5 year old and 2 year old to play in the sand and wade in the waves. The pool was also a great amenity. The condos are right by the Ft. Morgan ferry so we used that to do things across the bay as well as cutting off drive time on the way home back to Texas. Dianne was also such a friendly owner, providing lots of tips and suggestions for our stay that I otherwise would not have known about. It felt like I was talking to a friend when we spoke. She was great! Everyone in the family had such a wonderful and memorable time. I can't wait to go back and would recommend this property to anyone traveling to the Gulf Shores area. My wife and I want to personally thank Tom and Dianne Walters for allowing us to share their beautiful Gulf Shores condo the past two winters. Their condo at the Dunes has become a second home for us. We never get tired of watching the ships coming into and out of Mobile Bay, or of the fantastic sunsets from the balcony. Each year the Walter's have consistently upgraded the furniture, appliances, counter tops and fixtures throughout the unit. 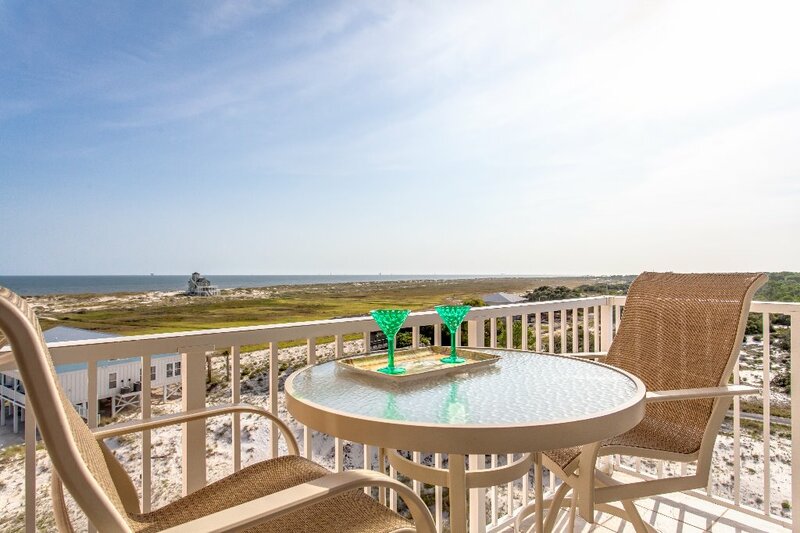 The condo sits on the corner of the fifth floor, giving gorgeous views of the Gulf and of Mobile Bay. It over looks part of the Bon Secour Wildlife Sanctuary where birds can be heard singing, and you're within walking distance to historic Fort Morgan. The miles of sugar sand beach allows for endless walks, fishing from the shore, searching for the perfect sea shell, or just sitting in the sun watching and listening to the waves. We will be returning once again next January, and highly recommend to anyone seeking to find a relaxing get away, in a very well equipped and wonderfully maintained condo, away from the crowds found in town, and supported by owners who want to make sure that everything is right for their guests, to contact the Walters. We love having you as our winter guests and are pleased to hear how much you enjoy staying in our home! Thank you for all your positive feedback! My husband, 2 children, and friend couple stayed at this condo on July 5-12. It was such a sweet home away from home! The homeowners were very helpful from trouble-shooting my ignorance to offering suggestions for restaurants and fresh seafood. The condo was very roomy even for 6 people (2 of whom were pregnant) and had every possible essential for kitchen items. The furniture was so comfy and really felt like a home away from home. Thank you so much for your reasonable prices and kindness!!! We could not have been happier with our vacation condo. Everything about it was just as it was described. We fell in love with the view from the balcony, the fresh breezes from the ocean, the beautiful décor, and the overall cleanliness of the condo. We felt pampered and comfortable staying here. The owners provided a book with restaurant advertisements for us to pick places to eat and attractions to visit during our stay. All the amenities provided were outstanding including the internet access. We walked to the beach daily and enjoyed the pool too. There is no way anyone could say anything negative about this unit. We are eagerly looking forward to coming back next year.